Sue West, 20/20 Trust, tells a large group of Auckland budget advisers about Spark Jump. Recently we were delighted to tell budget advisers nationwide about Spark Jump. Over 200 Budget Advisory organisations saw how it could help many of their clients, and are now keen to refer them to local Spark Jump partners. Will you help spread the word too? to families it might help and to local organisations working with them? At 20/20 we know Spark Jump* is hassle-free, affordable, pre-pay broadband that supports children’s and family’s learning, and help their digital inclusion – that’s why we partnered with the Spark Foundation to deliver it. Spark Jump has already enabled hundreds of families get online, but there are thousands – tens of thousands – more that it could help. We’ve built a large and rapidly growing network of local delivery partners** to help families get set-up and connected, once families get in touch with them. Generating interest and awareness is the first step. Local papers usually run stories on Spark Jump, and local partners publicise it and reach out to their own clients. The Spark Foundation has trialed targeted Facebook ads and is planning other awareness campaigns. These all help but don’t reach everyone. You can help too – if you know a family with no broadband internet connection, wanting to support their children’s learning, please tell them about Spark Jump. If you know of an organisation helping families, please email them about Spark Jump (cc’d to Sue Kini for info) and suggest they consider referring their families. 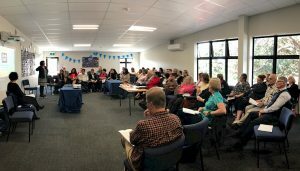 We’ve been working with the National Building Financial Capability Charitable Trust (NBFCCT, formerly NZFFBS – New Zealand Federation of Family Budgeting Services). The advisers have a professional, ongoing relationship with their clients and help them decide what would work for them, in their financial situation. 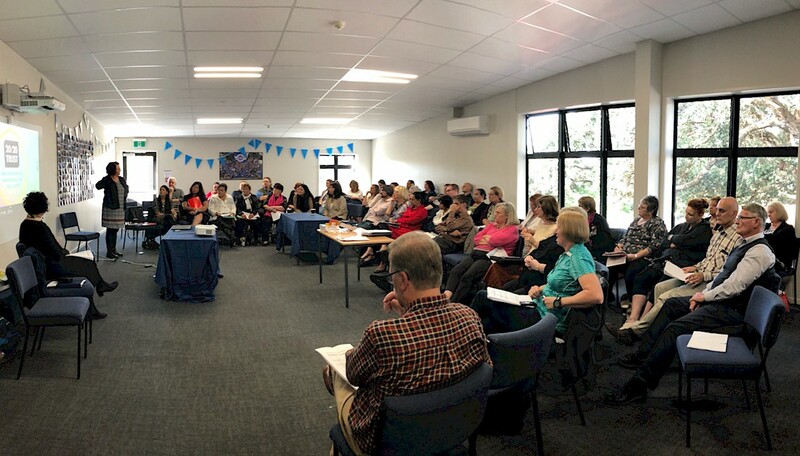 We were delighted to tell over 300 people from 200 Budget Advisory organisations about Spark Jump, when NBFCCT invited local Spark Jump partners and 20/20 to hui in May in 10 locations from Kaikohe to Dunedin. There was huge interest and many searching questions about how Spark Jump worked. Advisers especially liked it being pre-pay and so debt-free – many clients had previously run up debts with phone and internet, or committed to contracts they couldn’t afford. There was no question that their clients needed an internet connection – perhaps not surprising now so many tasks are becoming ‘digital by default’, including banking, accessing government services and even the census. 10,000 more families to benefit? Tim Burnett, Chief Executive of the NBFCCT, estimates that budget advisers see around 60,000 clients a year in total. Tim thinks about half of budget advisers’ clients will be eligible for Spark Jump, so even if it only suits a third that’s 10,000 families it can help! “Thank you for providing this. Even though my Boyfriend is working full time (I’m currently home with Newborn) we have no money left after Bills, utilities, insurance and Rent. As well as helping learning out of school, an internet connection can help families save money and time. One adviser said she advises some clients to shop for food over the internet. With small children and no car, public transport might just be possible for getting to the supermarket but not feasible for getting back laden with the weekly shop. A grocery delivery charge was much less than a taxi fare, and internet shopping was also much faster and less wearing for the whole family. This is just one example – there are many more. Overseas studies show that internet access can save low income individuals $1,000/year. If you know a family with no broadband internet connection, wanting affordable internet to support their children’s learning, please tell them about Spark Jump. If you know of an organisation helping families like this, please email them about Spark Jump (cc’d to Sue Kini for info) and suggest they refer their families to the nearest Spark Jump partner. If you know of an organisation with teaching facilities (basically a room, internet connection and tutor) and wanting helping families like this, please email them suggesting they become a Spark Jump partner (cc’d to Sue Kini for info). Thank you for helping more families get online affordably. * Spark Jump, a service designed to support learning and digital inclusion from the Spark Foundation. *** Spark Jump too good to be true? **** Because we enable local delivery partners, people are more likely to have heard of our programmes (e.g. Computers in Homes, Stepping UP, KiwiSkills, ICDL, Digital Inclusion map, NetDay, Positive Computing for Parents etc.) than the 20/20 Trust. to be more effective and more sustainable. And it’s more than that; working cooperatively in respectful, equal, partnership with other organisations is an integral part of 20/20’s ‘DNA’.